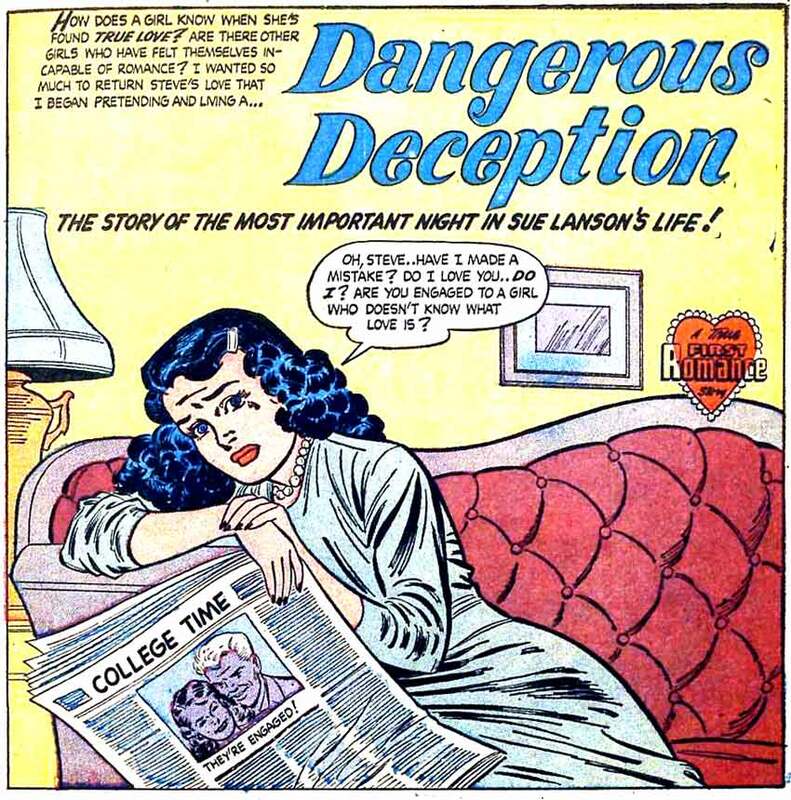 Art attributed to Jack Kamen from the story “Dangerous Deception” in First Romance Magazine #51, 1958. SCENE: Woman sitting on couch looking somewhat sad as she holds a newspaper that has a photo of her and a man. The headline under the photo says: Engaged! WOMAN: Sure! I was a tad early with the announcement! But you’re going to propose eventually, right? Art attributed to Jack Kamen from the story "Dangerous Deception" in First Romance Magazine #51, 1958. Judging by those wrinkles, Steve’s not so much engaged to a girl as he is a grandma. Sue wants to know what love is Steve. She, and Foreigner, want you to show her.